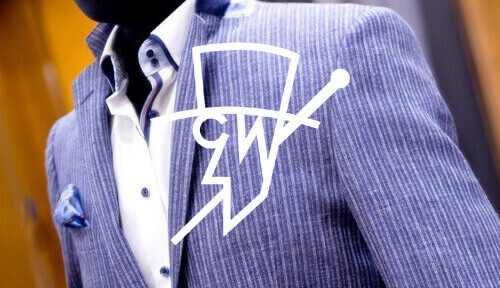 With nearly 90 years of experience in tailoring & menswear, Waddington’s collections are curated each season to offer a complementary selection of formal suits, shirts, ties and accessories, casual jackets, trousers and knitwear and formal and casual footwear. 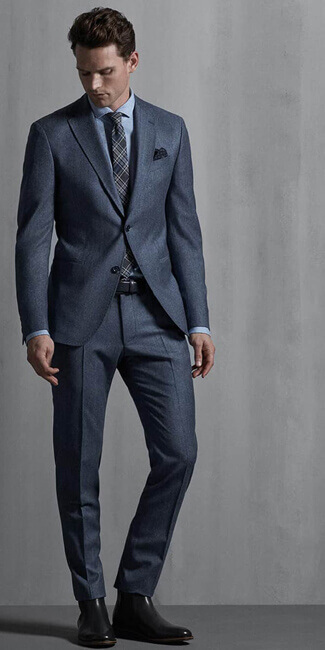 Ready to wear suits and jackets from our core brands, Digel & Magee include formal 2- & 3-piece suits as well as casual linen/silk, wool & Donegal Tweed jackets. Our jacket selection includes checks, plain, striped and slim-fit styles. We always carry an extensive collection of formal shirts by Eterna and Olymp, along with a further selection of casual shirts from Giordano. Additionally, there is a comprehensive selection of dress shirts for eveningwear by Rocola with wing and standard collars in a variety of contemporary and classic designs. Waddington also offer a comprehensive selection of jeans, chinos and smart trousers in both contemporary and classic styles from Meyer. There is also a range of fine knitwear from Franco Ponti in Merino natural fibres, giving long-lasting shape and comfort. Many are easy-care, meaning they can be washed at 40°C and tumble dried. 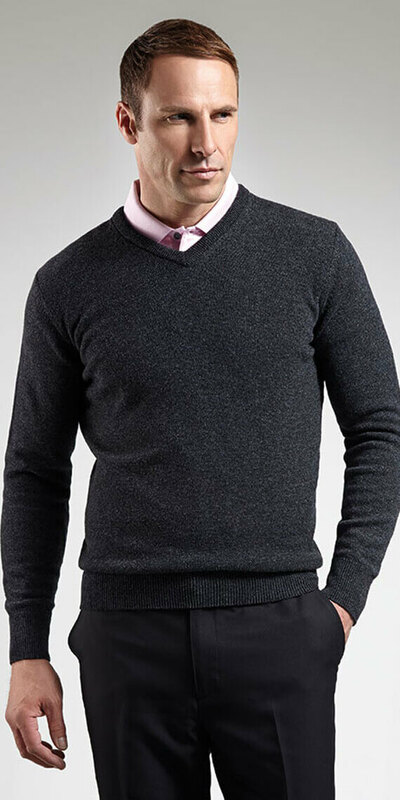 We always have a range of styles including V-necks, crew necks and cardigans. 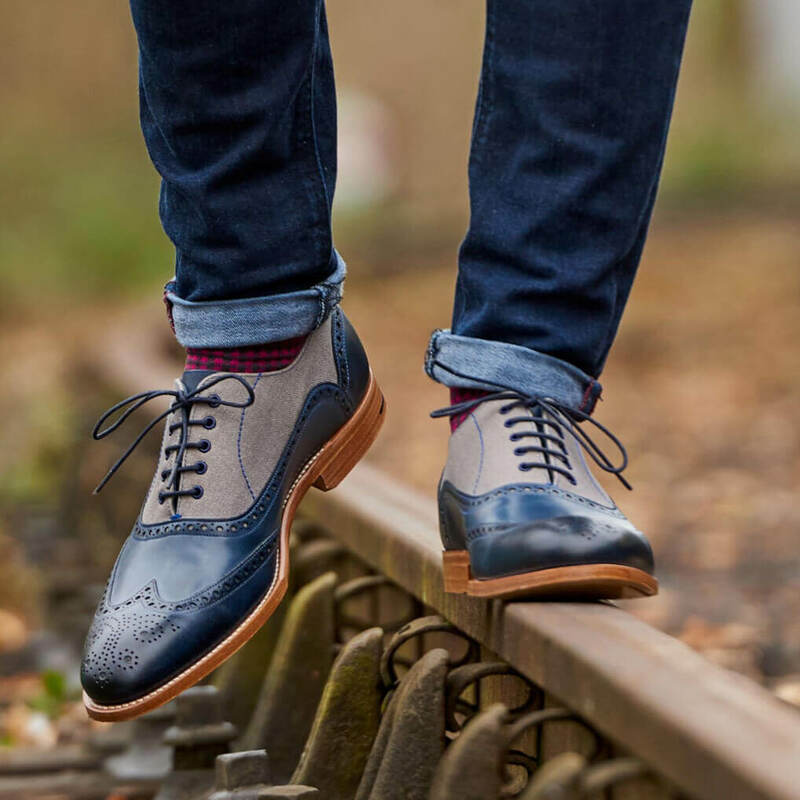 Whether you are looking for a classic designed brogue or in need of a pair of casual loafers, our collection of British-made shoes from Barker are guaranteed to be the perfect fit. Finally, there is an extensive selection of accessories to complete your outfit. Our comprehensive range of silk ties, cufflinks, leather goods, socks, braces, bowties and handkerchiefs are sure to provide the perfect solution. 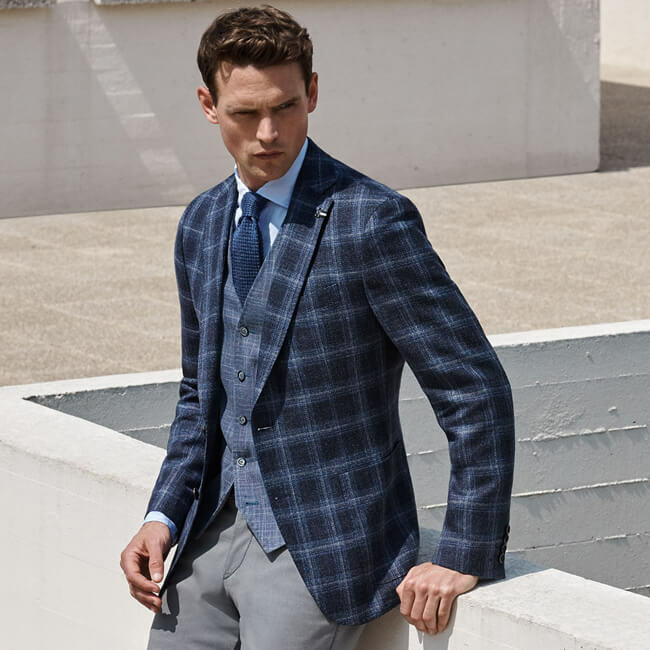 Whether for a formal, smart or casual look, our collections are designed to perfectly complement each other, enabling customers to build a complete wardrobe at Waddington. View the latest collection here.